Don't Dismiss Safety - DiVal Safety Equipment, Inc. - Welcome to the DiVal Dispatch - Your Source For Safety News & Updates! Some of the most dangerous situations arise out of common mistakes that can be easily avoided. 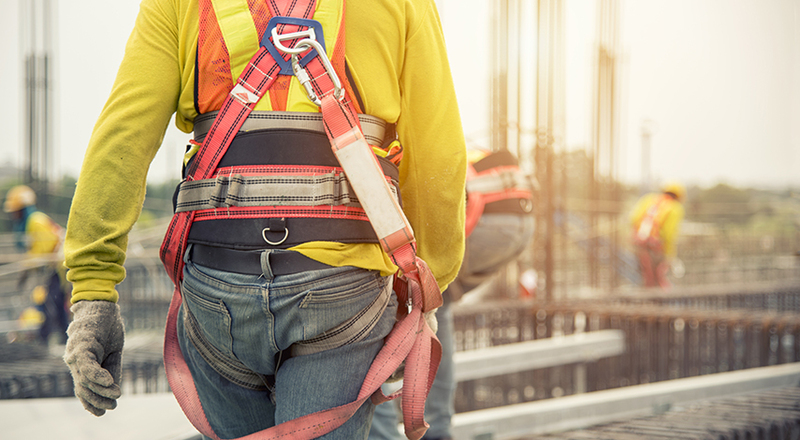 Today we will focus on some of the more common (and commonly overlooked) safety issues that should be prevented to help improve safety performance. Lack of housekeeping: It may seem simple, but a messy / dirty work area makes for an unsafe work environment. Pallet banding lying on the ground, spilled oil, and obstructed walkways all result in thousands of injuries each year. Not using Lockout / Tagout on equipment needing repair: Thousands of injuries are caused each year by the failure to lockout or tagout equipment and machinery needing repair. It is imperative to disable the equipment as soon as someone knows it is not functioning properly. This will ensure the equipment does not cause injury or an unsafe work environment. Improper use of Personal Protective Equipment (PPE): It is a common, yet incorrect, practice to wear hard hats backwards, or to put hearing protection in improperly. A walk around the shop might find face shields that are scratched to the point where visibility is poor. All of these are examples of failures in the proper use of Personal Protective Equipment. PPE is the last line of defense in protecting the employee. Therefore, the improper use of PPE, or failure to maintain and replace defective PPE, increases the likelihood of injury. Not having a process or plan: Most workplace injuries occur when work being done is not part of a normal process. It is important to have a work plan for non-process work. Sometimes such a plan is called a Job Safety Analysis or a Hazard Safety Analysis. No matter how it is done, planning the work will help identify hazards and implement controls to prevent injuries. Failure to communicate: One of the easiest things to prevent unsafe conditions is to discuss what hazards or unsafe acts have been noticed. Communicating the hazards and failures in processes is an essential element of protecting ourselves and our coworkers from the hazards that potentially exist in the workplace. Most facilities harbor many more hazards than people think there are, and so often they are completely overlooked. For a full review of what potential hazards are in your workplace, contact the DiVal Safety Training Department at 800-343-1354 or click HERE to find out about all of the options we offer.